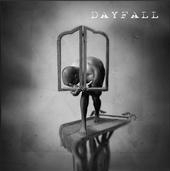 I-95 / WIXV Would like to thank the members of Dayfall for a great show this past weekend on Riverstreet. I-95’s 21st Anniversary Battle of the Bands was held as the kick-off to our huge St. Patrick’s weekend here in Savannah. Dayfall won second place in our I-95 Battle of the Bands, beating out over 30 potential competitors to get into the battle of the bands, and then going on to win second place over our seven top finalists. The combination of a tight sound, smooth performance and good attitude makes them one of the better new bands we’ve seen, I would recommend them to come back and play again.